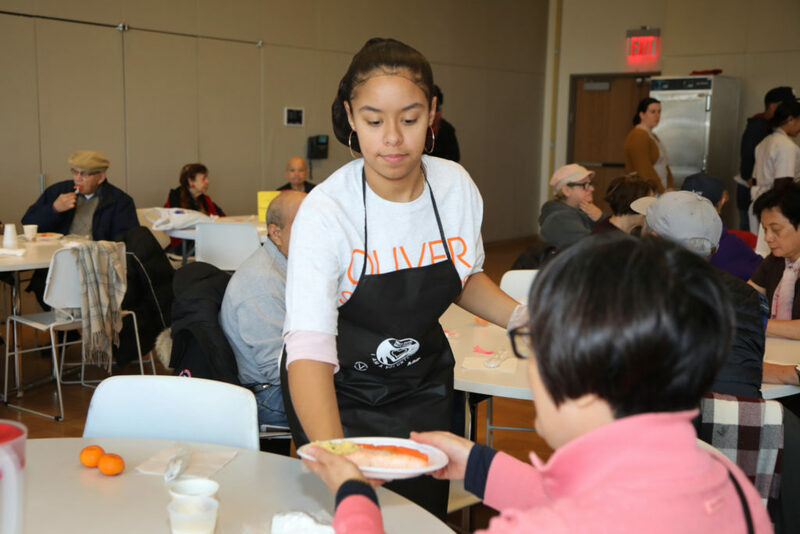 Although our Scholars volunteer time and energy to their communities throughout the year, Oliver's celebration of Community Service Day is an opportunity for the organization to give service collectively. 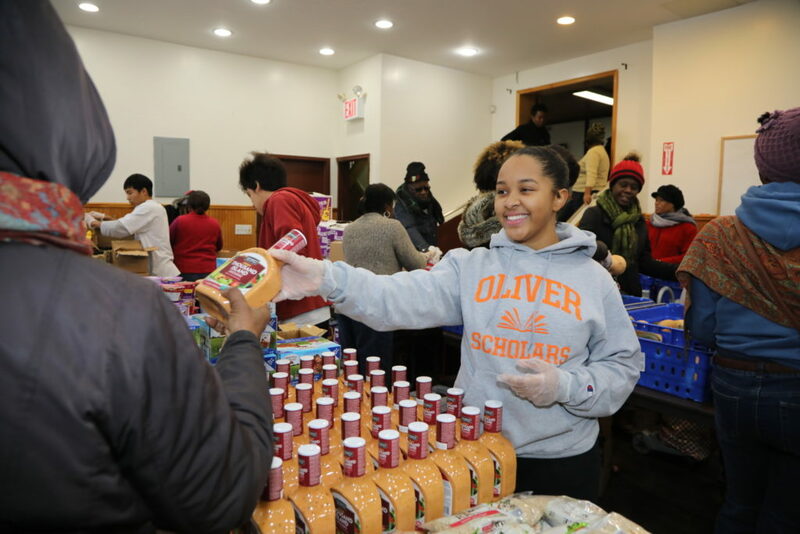 Many thanks to the Scholars, volunteers, and Staff who joined us on November 21 to, among other things, hand out food pantry bags, care for community trees, and enjoy fun activities with the elderly. 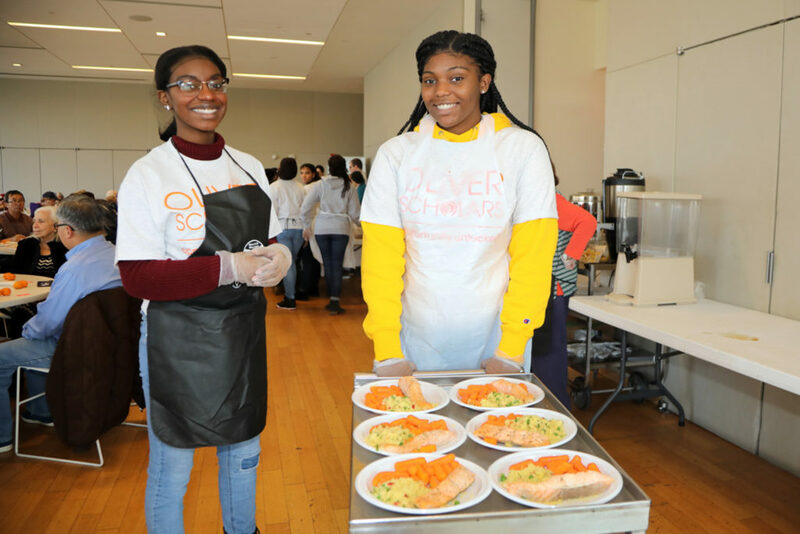 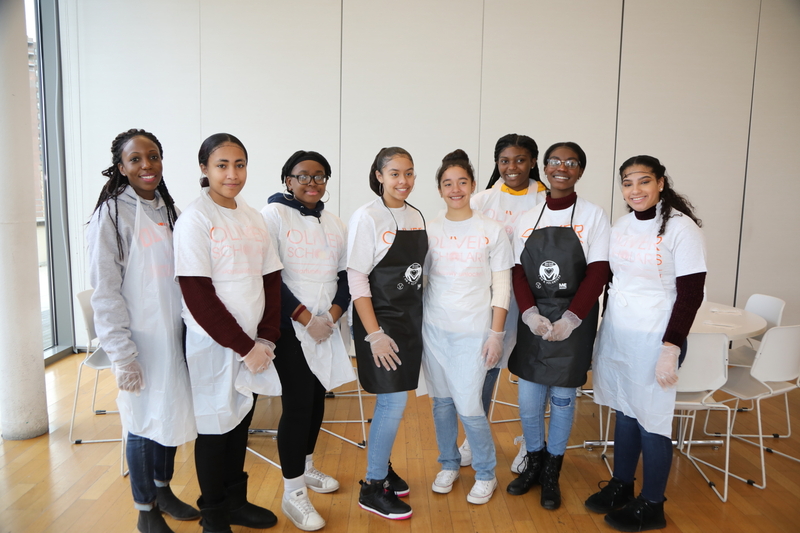 In all, 120 Scholars worked at eight sites throughout New York City, including: DonorsChoose.org, Jewish Association Bronx, Manny Cantor Center, Food Bank for City of New York, NYC Parks Project, La Jornada, and Trinity Church's Services and Food for the Homeless.